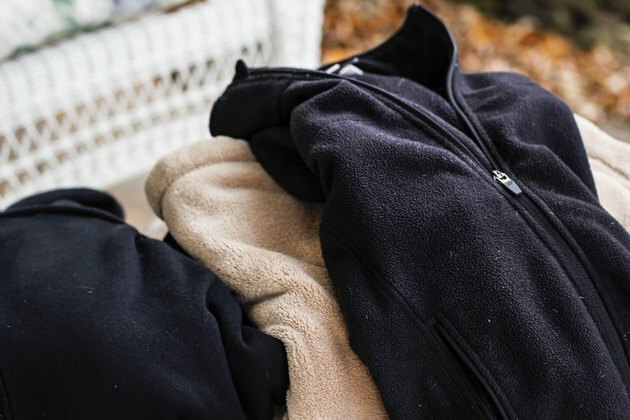 Fleece can trap and retain body warmth, making it a good choice for winter blankets and couch throws. Made from 100 percent polyester, and even recycled plastic bottles, it's an easy fabric to care for as long as you don't bleach it or wash it with scratchy materials. Pretreat stains or soiled areas with a dab of liquid laundry detergent or mild dish-washing liquid matched to the size of the stain. After letting the detergent soak into the stain, blot the soap to lift it from the fabric with a paper towel. Do not rub the stain, as this may spread it or press it deeper into the fabric. 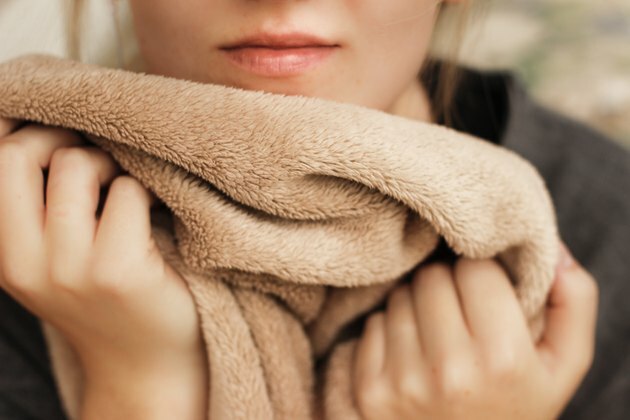 Wash fleece blankets with other fleece items, such as fleece jackets or couch throws, on the washer's lukewarm setting. Mix like colors together to avoid color runs, or include a color cloth that draws colors that bleed. 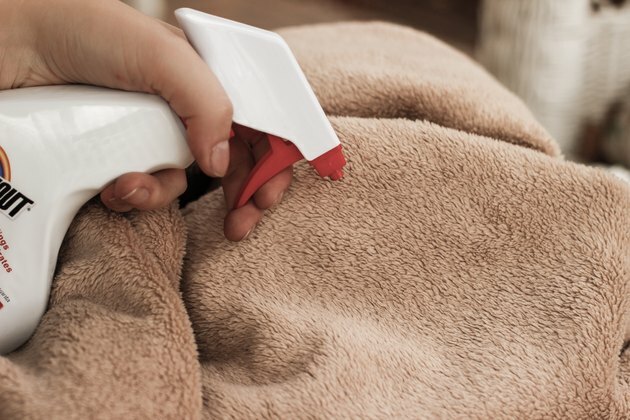 Avoid washing the blankets with rougher fabrics such as thick heavy cottons, corduroys or jeans, which can abrade the fleece. If you include fleece clothing with zippers, zip them up. 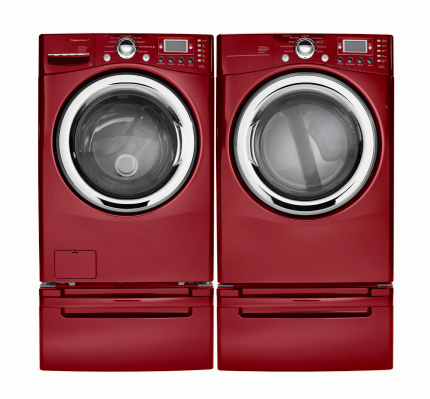 Set the washer to its delicate or gentle cycle for best results. If you set the washer to a more rigorous setting, it can cause the fleece blanket to tie up in knots or twist. 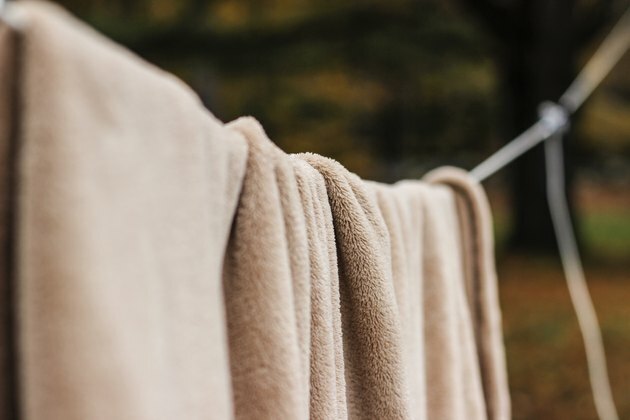 Hang fleece blankets outdoors, if you have a clothesline, for the freshest smelling results, or place them in the dryer on the low heat or gentle cycle. You cannot use softener sheets or other softening products with fleece, so when you hang them outdoors, they smell better and don't take long to dry if you live in a dry climate.